High turnover rates within a workplace can cost a company time, effort, and productivity. In order to retain your hardest working employees, your business must emerge as one that differs from your competitors, and offers a friendly, inviting environment where people want to work. The following are just a few strategies used to preserve those within the workplace, and avoid a consistent turnover of employees. Perhaps the most sought after perk for employees seeking long term careers is the package of benefits that a company offers. Those who provide health insurance, life insurance, or a 401(k) will almost always see a higher employee retention rate than businesses that fail to do so. Other benefits to consider are those that accommodate the personal lives of your employees. These can include maternity leave, a fair amount of paid time off, or telecommuting. Showing those who work for you that you are willing to acclimate according to their lives outside of the workplace can go a long way in keeping them on board. By establishing company-wide contests or incentives, you can contribute to your employees’ motivation within their jobs, and help them feel rewarded for their efforts. A hard worker that goes unnoticed by their employer can become easily frustrated, and rightfully so. Acknowledging the efforts and achievements by your staff can keep them focused and excited about their positions within the company. An open line of communication between your employees and management is often a mutually beneficial practice. Allow your staff to regularly offer ideas and ask questions to show that their thoughts and opinions matter. Clearly explain your company’s mission so that employees can obtain mental and emotional ties to your business. By having an open-door policy, your employees are encouraged to speak their minds, and approach management with confidence. A very important aspect to consider is an employee’s ability to grow within your company. If workers are limited to merely one position and are not offered clear paths of advancement, that stagnancy in their work can translate to a loss of motivation. If employees cannot see a future for themselves at your business, they will quickly look to find a position elsewhere that allows for a better possibility of growth. Managing human resources by yourself can quickly become an overwhelming task, especially if your company is rapidly growing. By having one person in charge of things like benefits, reviews, complaints, and interviews, you offer employees a reliable source for questions and concerns regarding such topics. In addition to their tasks as head of HR, these professionals can offer a variety of perks and programs that you may not have known existed, expanding your business’s platform on employee care. If your company’s turnover rate is considered high (anywhere from 20-30%), take a step back and review your policies with the above strategies in mind. 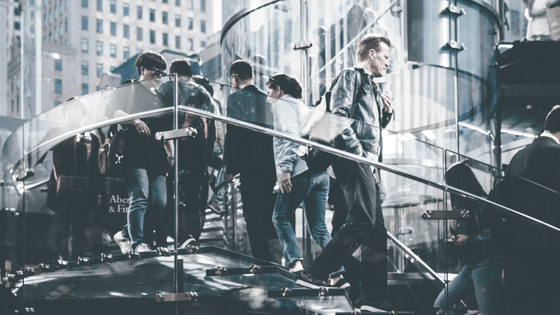 It is vital for successful businesses to maintain employee retention, and to do so, they must consider the overall well being of those who work for them.